If you’re in need of a full-scale fill-up, try our new Supercharger. 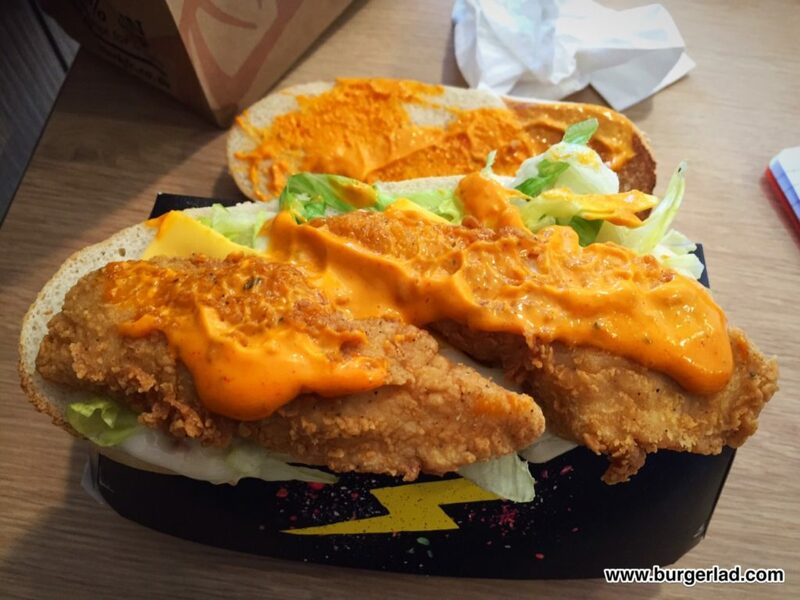 Two succulent mini breast fillets, souped up with delicious tangy sauce and brought together in a big tasty sub roll. 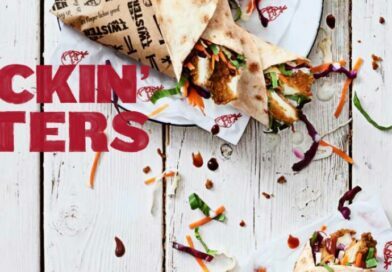 Price: £3.99 / £4.99 meal. 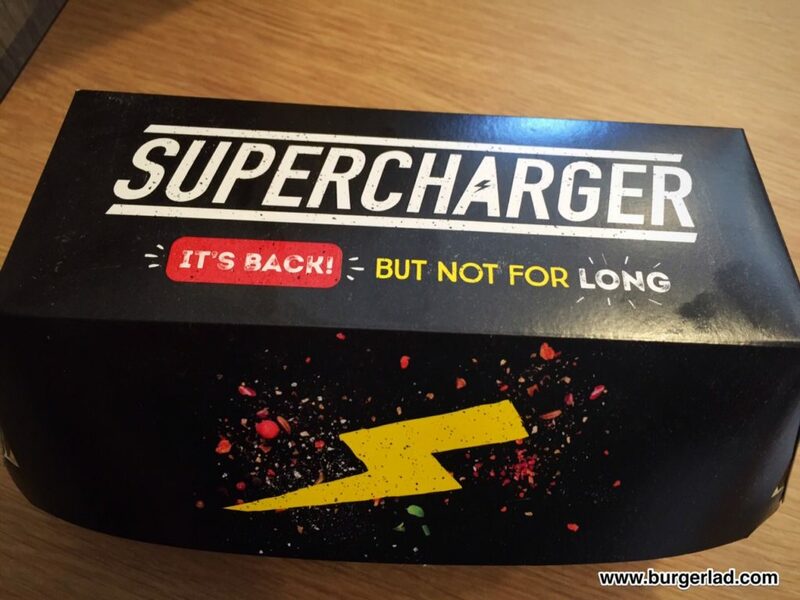 I don’t think I’ve ever had a Supercharger before, and the fervour with which its return seems to have been welcomed is akin to the McRib. 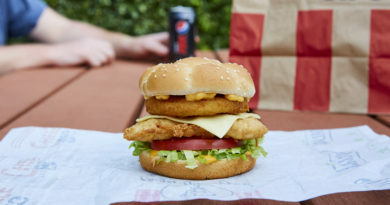 So I’m into this right away – opening time on Day 1 to bring you the review of the KFC Supercharger. 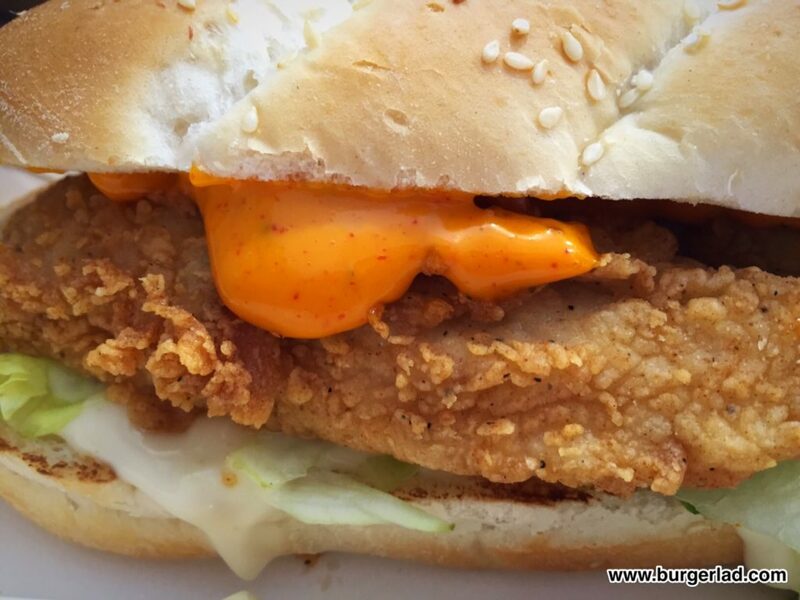 As with almost all KFC burgers, it’s crispy chicken in a bun with some toppings and sauce. 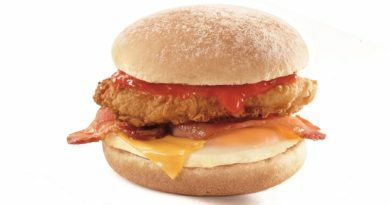 Clearly the Supercharger name comes from the very orangey sauce that’s applied liberally to the top. 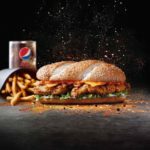 The construct seems straightforward – a long sub roll, lettuce and mayo on the bottom, two crispy chicken fillets and that orange sauce on the top. It looked fairly substantial actually and I was both impressed and looking forward to it. 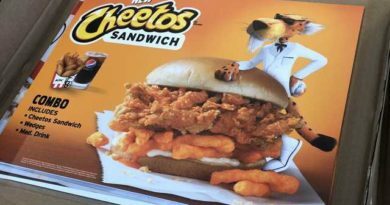 I lamented the lack of cheese just a little, but that’s probably just me – I’d happily put cheese on almost anything. So, getting into it, the sub roll was really good for this section of the market. Both strong enough to hold this together despite the length, and also soft enough to taste fresh. I quite liked it. 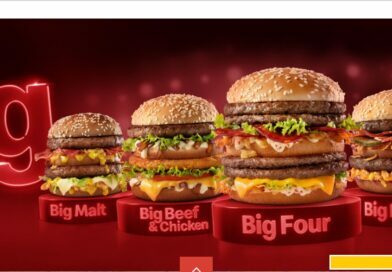 Right away I noticed the mayo. It wasn’t overdone but it was definitely noticeable. Not everyone will like that. 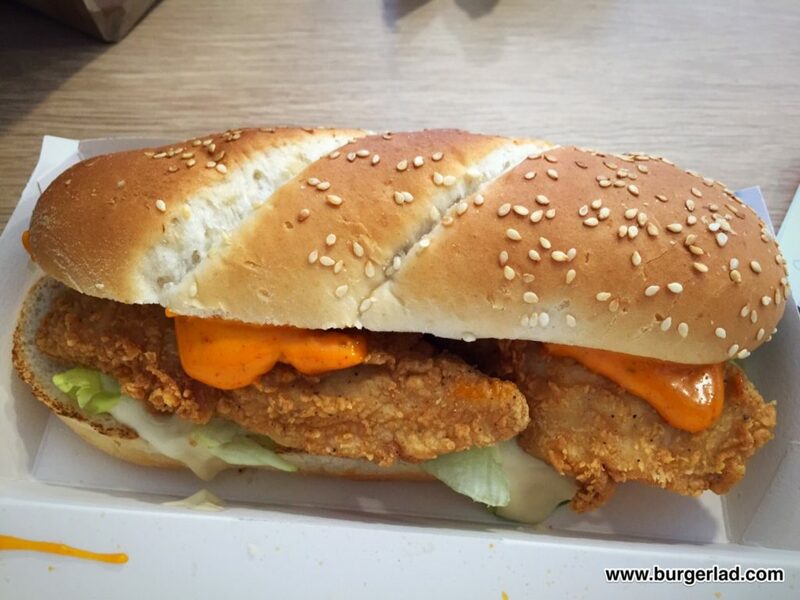 The lettuce seemed fresh enough and although it didn’t add taste, its colour balanced out the heavy orange-beige aesthetic of the bread, chicken and sauce. And that sauce – well it is mixed. It has a good deal of heat without being a killer. That aspect of it is thoroughly enjoyable, and I’d imagine its kick might be even more noticeable if the mayo was left off. But toward the end I detected a slight sourness which I definitely didn’t like. It didn’t affect the lovely spice level but rather sat alongside it like an unwelcome house guest. There really isn’t much more that can be said about the KFC Supercharger – at this price it is definitely worth getting a hold of one while it is still available. 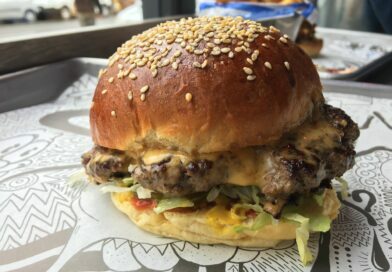 But on 18th July when it’s gone, you’ll eat a Zinger (still the high street chicken king) and probably forget about the Supercharger. 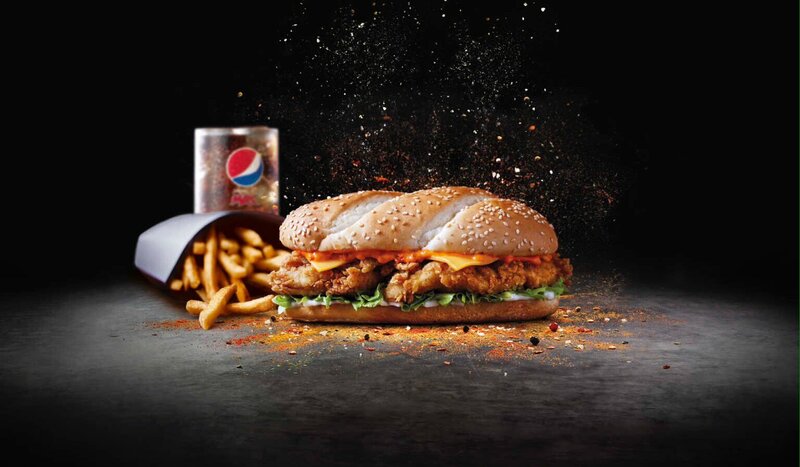 The KFC Supercharger is available at all participating restaurants until Sunday 17th July. I was also looking forward to the return of the supercharger and wasn’t disappointed. I was very pleased that it came with the original sauce as the one they introduced in 2013 was too spicy for me. All I really have to add is that my one DID have cheese in it so they must have made a mistake somewhere. I’m not too keen on the box it came in over the wrapper it replaced as it meant you could keep your hands clean!! 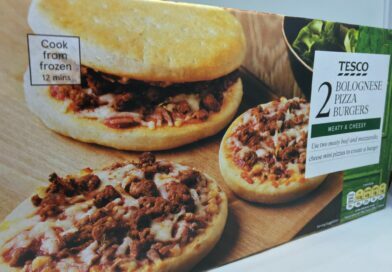 Hopefully it will sell well and it won’t be too long before we see it again. 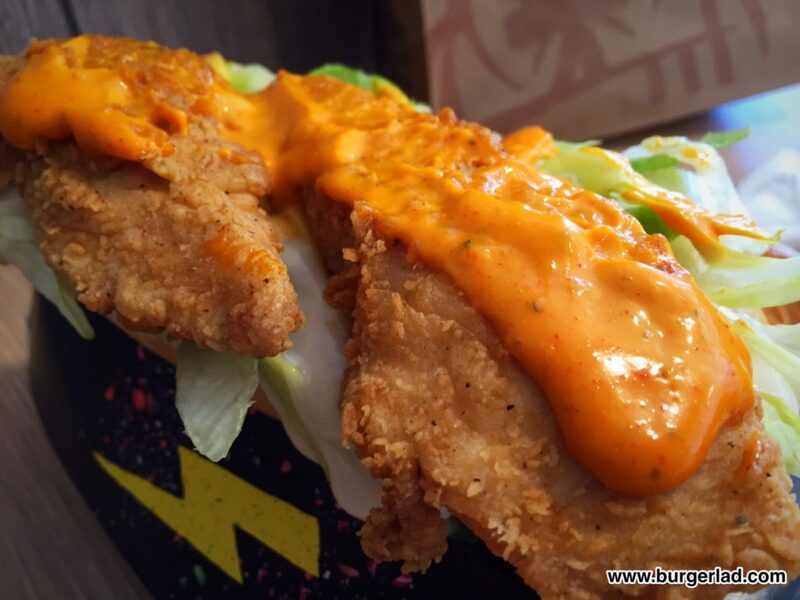 KFC’s Supercharger is amazing, but I prefer KFC’s Supercharger Roll and you should try it too… and just one more thing, I have a request for KFC.. which is that “PLEASE bring Chizza back! Please.. I loved it! Please bring it back..?” Thanks..